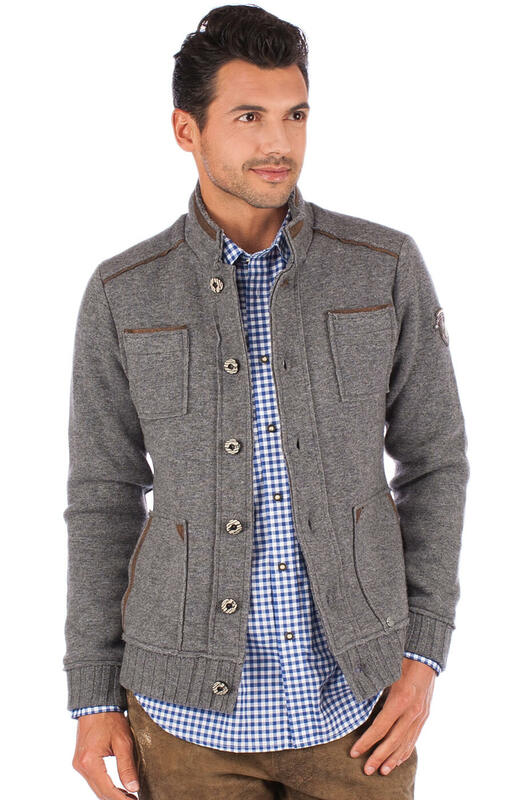 Men’s traditional grey jacket. 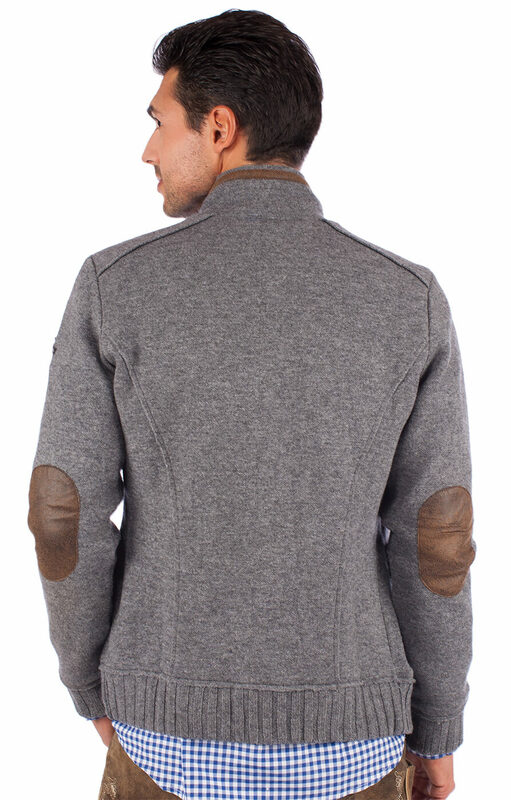 The large hip pockets on this grey jacket are teamed with two slit breast pockets that are edged in chocolate brown and mirror the traditional Bavarian style. 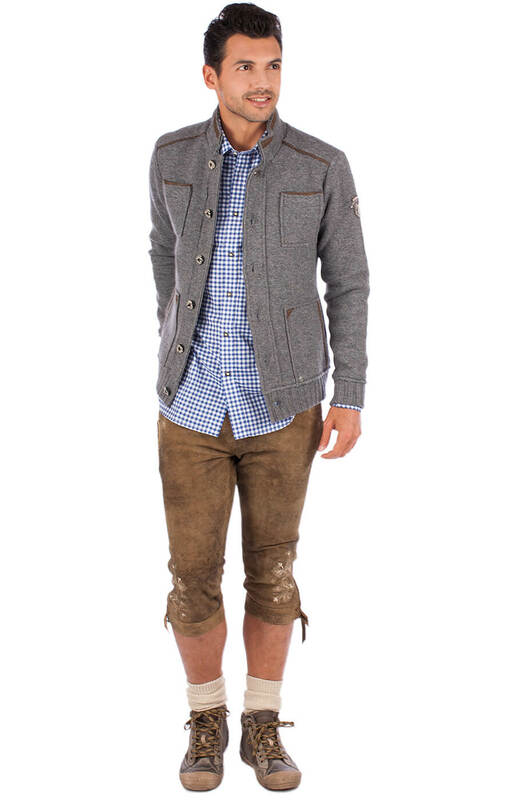 Extra fashion points are provided by the horn buttons running down the front and brown elbow patches, which makes this jacket the ideal garment to wear with a traditional Oktoberfest outfit. Prima Sitz und gute Qualität. 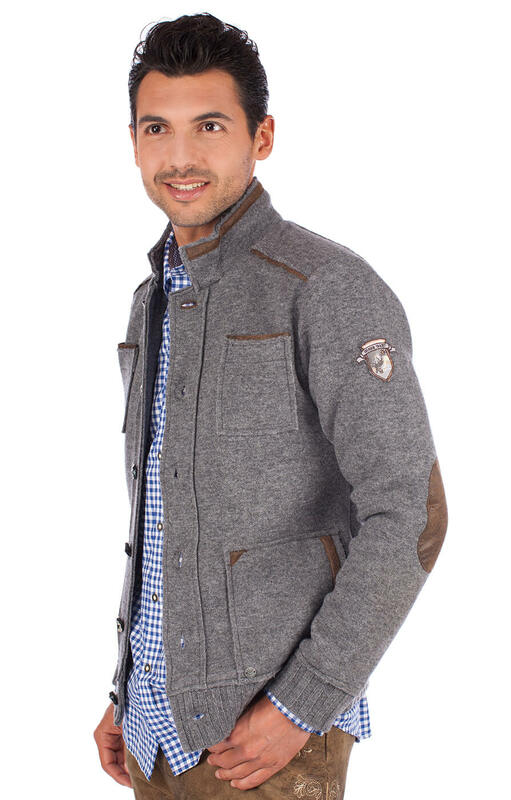 Reibungsloser Ablauf und prima Jacke mit gutem Sitzkomfort. Bin zufrieden mit dem Kauf. Ohne langem Arm etwas kratzig, aber passt sonst perfekt. 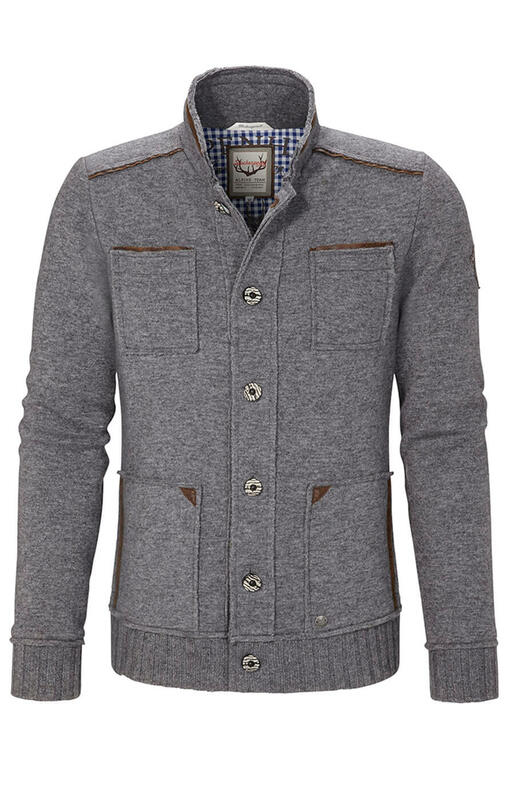 Qualität ist ok, das Preis/Leistungsverhältnis aber recht "stramm". 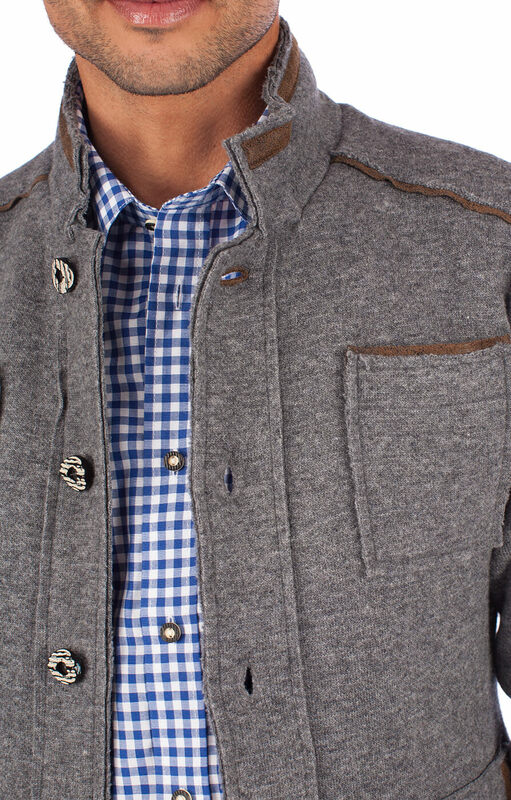 Ansonsten gefällt die Jacke aber sehr.